Al-Masjid an-Nabawi – one of Islam's oldest mosques – is located in Madinah. Madinah is a city in the Hejaz region of western Saudi Arabia, and serves as the capital of the Al Madinah Province. Madinah is the fourth largest city in Saudi Arabia, with a population of over one million. Madinah is the second holiest city in Islam, and the burial place of the Islamic Prophet Muhammad. Madinah is also known as Madinat Al-Nabi (City of the Prophet) or Madinah Al-Munawwarah (The Enlightened City). Madinah is home to the three of the oldest mosques in Islam: Al-Masjid an-Nabawi, Quba Mosque and Masjid al-Qiblatain. Al Masjid an-Nabawi is also known as the Mosque of the Prophet and is home to the tomb of Prophet Muhammad. The city is historically significant for being the home of Prophet Muhammad after the migration of Muhammad and his followers from Mecca to Madinah in 622 CE. Madinah has a great religious importance in Islam and is popular as a pilgrim destination. The mosques in the city are visited by millions of pilgrims during the Hajj and Umrah seasons every year. The Kingdom of Saudi Arabia has initiated and planned many new development projects in Madinah to attract more visitors to the city. New projects such as capacity expansion of the Holy Mosque to accommodate a greater number of worshippers at peak times, as well as the construction of a High Speed Railway between Madinah and Mecca will increase the economic activity, develop the infrastructure in the city and provide easy access to holy places by the vast number of pilgrims. 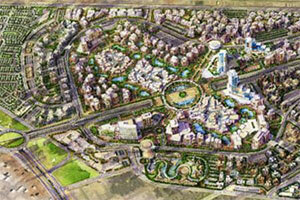 One of the most notable development projects taking place in Madinah is the Knowledge Economic City (KEC). KEC is a “mega project” to position Madinah as the centre of Islamic knowledge, global knowledge and culture and will undoubtedly take its place among the unique assets of Madinah. A $7bn project will be built in an area of nearly five million square metres. KEC will be an educational, commercial and cultural centre which will create a massive economic activity. 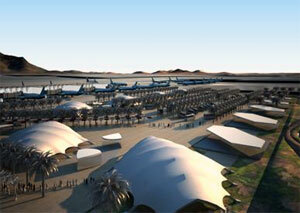 Expected to contribute annually over $2.5bn to the Madinah economy. 20,000 new jobs will be created and 150,000 people will reside in KEC. Operator of 14 airports worldwide, TAV Airports started its operations at Madinah’s Prince Mohammad Bin Abdulaziz International Airport (MED) in June 2012. TAV offers very competitive airport charges discounts on all non-served destinations. Please contact our route development specialist for further details of marketing support incentives. Please download our Brochure for detailed information. 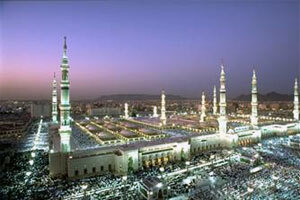 Madinah, with a population of one million, is located in the west of Saudia Arabia. The city of Madinah located in the north-western part of the Kingdom of Saudi Arabia. 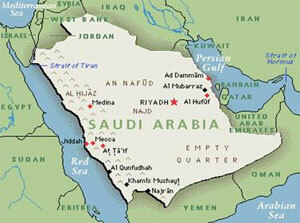 Madinah is 340 km north of Mecca and about 190 km from the Red Sea coast. Please contact our route development specialist for further information. Part of TAV's remit under its BTO contract at Madinah is the extension of existing runway and the construction of a number of new taxiways. Madinah Prince Mohammad Bin Abdulaziz Airport is located 17 kilometres away from downtown Madinah. Having won the BTO contract for the new Prince Mohammad Bin Abdulaziz International Airport (MED) at Madinah, Tibah Consortium (partnered by TAV, Saudi Oger and Al Rajhi) built a brand new airport opened in 2015 for Madinah city. 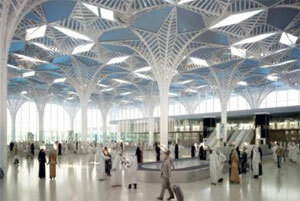 The new terminal have the capacity to serve 8 million annual passengers. With its state of the art design, 150,000 m² terminal area, efficient operations and the latest technologies applied, the new terminal building will overcome the operational bottlenecks at Madinah Airport. Extension of the runway, construction of new taxiways, upgrading of the fueling and the lighting system and construction of a number of ancillary buildings such as administrative building, VIP Terminal and power stations are also a part of the new Madinah Airport project. 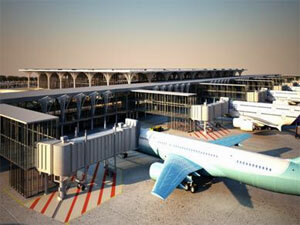 The new terminal will offer 18 passenger air bridges and 20 new remote stands. The passenger traffic recorded over 5.9 million passengers and 22% traffic growth rate in 2015.